This program was developed to provide a means to recognize State Chapters for their efforts in supporting the mission and goals of NEHES. This awards program acknowledges chapter accomplishments and rewards chapters for their contributions. All applications for the 2017 Chapter Excellence Award must be submitted to the NEHES Administrative Office by June 1, 2018. Once all applications have been processed, NEHES will send electronic notification to the chapter presidents no later than August 30, 2018 announcing the status of their application. 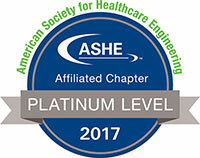 Recipients of the Chapter Excellence Award will be recognized during the NEHES Annual Fall Conference Banquet ceremonies in Burlington, VT.
50% of state chapter members are also NEHES members. Chapter President must maintain active NEHES membership. Attendance at a minimum of five (5) NEHES Board of Directors meetings by a state chapter representative. Attendance at the annual planning retreat by at least one chapter representative. Attendance at the annual meeting by at least one chapter representative. Offer a minimum of 6 hours of annual educational programming. Hold at least six (6) state chapter meetings annually. A commemorative plaque in recognition of your achievement. Two (2) complimentary waivers to attend the 2018 Fall Conference. Two (2) complimentary waivers to attend the 2019 Spring Seminar. Two (2) complimentary one-year NEHES memberships. Promotion in the fourth quarter NEHES Newsletter as well as on the NEHES website. For additional information or to submit an application please contact: NEHES at info@nehes.org.